I'll be out for the press opening February 9th, so check back soon for my full review. A Red Orchid Theatre is one of our favorite Chicago storefronts, with world class productions and edgy choices. A Red Orchid Theatre presents the Chicago Premiere of Fulfillment Center by Abe Koogler, directed by Jess McLeod, and featuring Ensemble Member Natalie West, Artistic Associate Steve Schine, Jose Nateras, and Toya Turner. Fulfillment Center runs January 31 – March 24, 2019 at A Red Orchid Theatre, 1531 N Wells in Chicago. In the New Mexico desert, a down-on-her-luck folk singer takes a job at a giant retailer’s shipping center. Her young manager struggles to connect with his newly relocated girlfriend. A drifter living at a local campground dangerously links them all. Four lonely lives come together in the search for fulfillment in this raw, surprising and funny Chicago premiere. The creative team includes Sarah JHP Watkins (scenic design), Stephanie Cluggish (costume design), Ensemble Member Mike Durst (lighting design), Brando Triantafillou (sound design), and Jeremy Hollis (properties design). Christa Van Baale is the stage manager. ABE KOOGLER (Playwright) earned an MFA in playwriting from UT-Austin's Michener Center for Writers and is a 2016 graduate of Juilliard's Playwrights Program. His plays have been developed at Kitchen Dog Theatre, the Playwrights' Center, the Great Plains Theatre Conference, and Oregon Shakespeare Festival's Black Swan Lab. He is a Theatre Masters Visionary Playwright. Abe won the Kennedy Center's Paula Vogel Award and the Williamstown Theatre Festival’s L. Arnold Weissberger Award for KILL FLOOR, which premiered at Lincoln Center/LCT3 in the fall of 2015. Abe is under commission from Manhattan Theatre Club. He is a native of Washington State. JESS MCLEOD (Director) is the Resident Director of Hamilton Chicago and the 2018 Next Generation Samuel G. Roberson Artistic Fellow at Victory Gardens Theater. Chicago credits include developing and directing five short operas with local community groups with Lyric Unlimited (Lyric Opera of Chicago); Stacy Osei-Kuffour’s Hang Man (The Gift); Idris Goodwin’s How We Got On (Haven); Short Shakes! A Midsummer Night’s Dream (Chicago Shakes); Marry Me A Little and Babes in Arms (Porchlight Music Theatre); Shawn Pfautsch’s Season on the Line (The House); Kevin Coval’s L-vis Live! (Victory Gardens); Venus (Steppenwolf Next Up! ); Lauren Yee’s in a word (Strawdog), Kin (Griffin); and Fugitive Songs and The Pajama Game (The Music Theatre Company). New York credits include work by Joyce Carol Oates, Rachel Axler, Harrison David Rivers, and The Unauthorized Musicology of Ben Folds at the New York Musical Theatre Festival, where she served as Director of Programming from 2005-08. A teaching artist and believer in youth and community engagement, McLeod coordinated the Louder Than A Bomb Youth Poetry Festival for Young Chicago Authors from 2016-17 and has worked as a teaching artist with Storycatchers Theatre. 2017 Michael Maggio Directing Fellow (Goodman Theatre). M.F.A., Northwestern University. STEVE SCHINE (John) returns to A Red Orchid with Fulfillment Center. An Artistic Associate, Steve has appeared at AROT previously in The Nether, Solstice, Louis Slotin Sonata, Hunger & Thirst, The Earl, and Gagarin Way. He has also performed in notable Chicago productions at The Goodman, Court, First Folio, Steep, Stage Left, Raven, Veterans Art Project, Strawdog, American Theatre Company, Lifeline, Piven, and the late, great Famous Door Theatre, among others. Regional credits include several productions with Lakeside Shakespeare, the Clarence Brown Theatre in Tennessee, as well as new work development at Abington Theatre in NYC. TV: Jack Gatins on Chicago Fire and Curtis on Chicago PD. Video Games: Ubisoft’s Watch_Dogs. Additionally, as a voice over artist, he can be heard in many TV, radio, and internet commercials. Steve is a member of AEA and SAG-AFTRA. 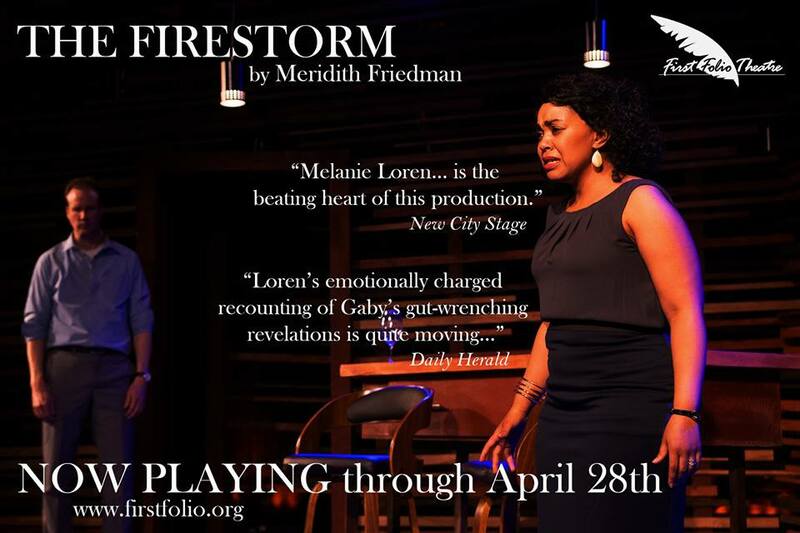 TOYA TURNER (Madeleine) makes her Red Orchid Theatre debut! She attended the British American Drama Academy (BADA) at Oxford University. Stage credits include: Blues For An Alabama Sky (Court Theatre), A Raisin in the Sun (A Noise Within-CA), Intimate Apparel (Theatre Squared-AR). TV/Film credits include: Incredibles 2 (Disney-Pixar), The Mick & Empire (FOX), Easy (Netflix), Chicago Fire & Chicago Med (NBC). She is represented by Stride Management. NATALIE WEST (Suzan) is an ensemble member at A Red Orchid Theatre where she last appeared in Traitor. 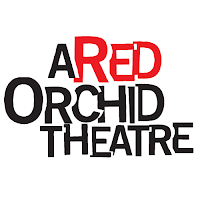 Other A Red Orchid productions include Evening at the Talk House, The Mutilated, Strandline, Mud Blue Sky, The Butcher of Baraboo and Abigail's Party. Most recently she was seen in Nell Gwynn at Chicago Shakespeare Theatre. Other credits include shows at The Goodman, Steppenwolf, Northlight among others. She is a former ensemble member of Remains Theatre. Natalie was a regular on the television show Roseanne as Crystal and has recently reprised her role on The Conners. Natalie is the recipient of three Jeff Awards for supporting actress for The Butcher of Baraboo, Abigail's Party (A Red Orchid) and Life and Limb (Wisdom Bridge). She holds a MSW from Loyola University Chicago, a BA in Theatre at Indiana University and she attended Webber Douglas Academy in London. Designers:	Sarah JHP Watkins (scenic design), Stephanie Cluggish (costume design), Ensemble Member Mike Durst (lighting design), Brando Triantafillou (sound design), and Jeremy Hollis (properties design). Christa Van Baale is the stage manager. 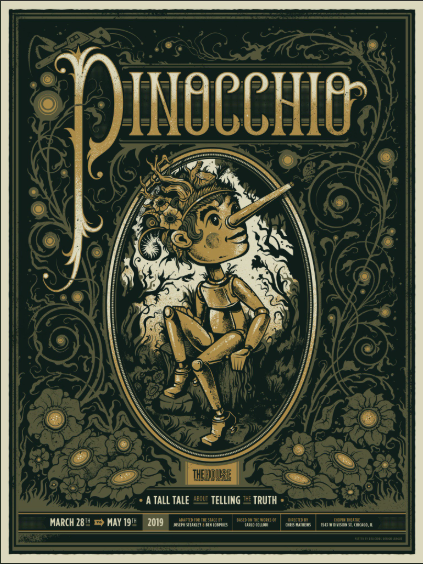 Press Performances: Saturday, February 9 at 3:00 p.m. & 7:30 p.m. Opening: Sunday, February 10, 2019 at 7:00 p.m.
Red Night: Friday, February 15, 2019 at 7:30 p.m.
Saturdays: 3:00 p.m. and 7:30 p.m.
A Red Orchid Theatre, 1531 N. Wells Ave.
A Red Orchid continues the FLASHPASS. As always, FLASHPASS holders get reserved seats, ticket and date flexibility, no-fee ticket exchanges, discounts for friends & family tickets, and early access to events such as readings, panel discussions, and more. The Three-show FLASHPASS is $90 and includes one ticket to each of the 3 shows in our 26th Season, excluding Opening and Red Nights. The Three-show Red Night FLASHPASS is $150 and includes a ticket to each of the 3 show's Red Night Opening and post-show receptions with the cast and creative team. The Preview FLASHPASS is $60 and includes one ticket to a preview performance of each of the 3 shows in our 26th season. FLASHPASSes may be purchased from the Box Office at 1531 N. Wells Street, Monday through Friday from 12pm to 5pm, by telephone during office hours by dialing (312) 943-8722, or online at www.aredorchidtheatre.org. Individual tickets will go on sale at a later date. With our 26th season of ambitious and powerful storytelling, we continue to champion A Red Orchid Theatre’s Red League, which is a gift $1k or more, and the Founders Circle, which is a gift of $5k or more annually for a three-year pledge. These donors represent a community of our most committed and impactful cultural investors. Every profound and shocking moment on our stage is made possible through their critical annual contributions. 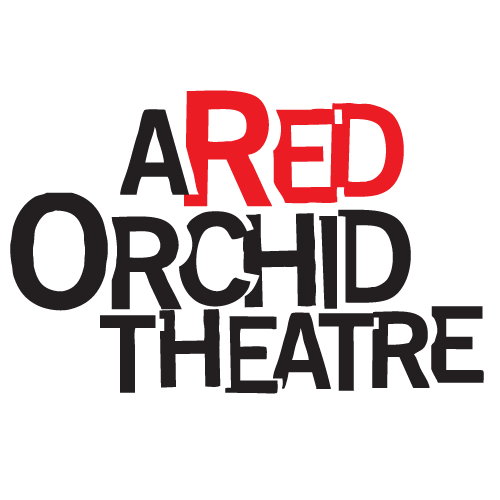 Their philanthropic leadership fosters the development of raw and relevant work, creates a platform for our talented ensemble to reach new audiences, and ensures that A Red Orchid Theatre remains a source for honest, compassionate, and aesthetically rigorous theatre. A Red Orchid Theatre has served as an artistic focal point in the heart of the Old Town community of Chicago since 1993 and was honored last year with a 2016 MacArthur Award for Creative and Effective Institutions. Over the past 25 years, its Resident Ensemble has welcomed into its fold an impressive array of award-winning actors, playwrights and theatre artists with the firm belief that live theatre is the greatest sustenance for the human spirit. A Red Orchid is well known and highly acclaimed for its fearless approach to performance and design in the service of unflinchingly intimate stories. A Red Orchid Theatre is: Lance Baker, Kamal Angelo Bolden, Dado, Mike Durst, Jennifer Engstrom, Kirsten Fitzgerald, Joseph Fosco, Steve Haggard, Mierka Girten, Larry Grimm, Karen Kawa, Karen Kessler, Danny McCarthy, Shade Murray, Brett Neveu, Michael Shannon, Guy Van Swearingen, Doug Vickers and Natalie West. Love live theatre, music fests and rock, punk, metal, alternative and indie releases? Then check in with ChiIL Live Shows like we vote in Chi, IL ... early and often. We have original, live show videos and stills, band & theatre interviews, reviews, tour news, giveaways and more, in Chi, IL and beyond. Click image for more information. Now playing through 4/7/19. 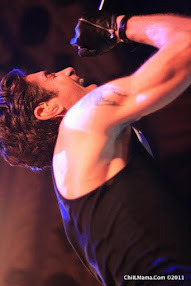 WIN A Pair Of Tickets (2 winners/ $80 value each) To The Man Who Was Thursday at Lifeline Theatre. Contact us at Zbluesun@gmail.com for original photo publishing or purchasing information. DREAMWORKS HOW TO TRAIN YOUR DRAGON LIVE SPECTACULAR LANDS IN CHICAGO 7/25!